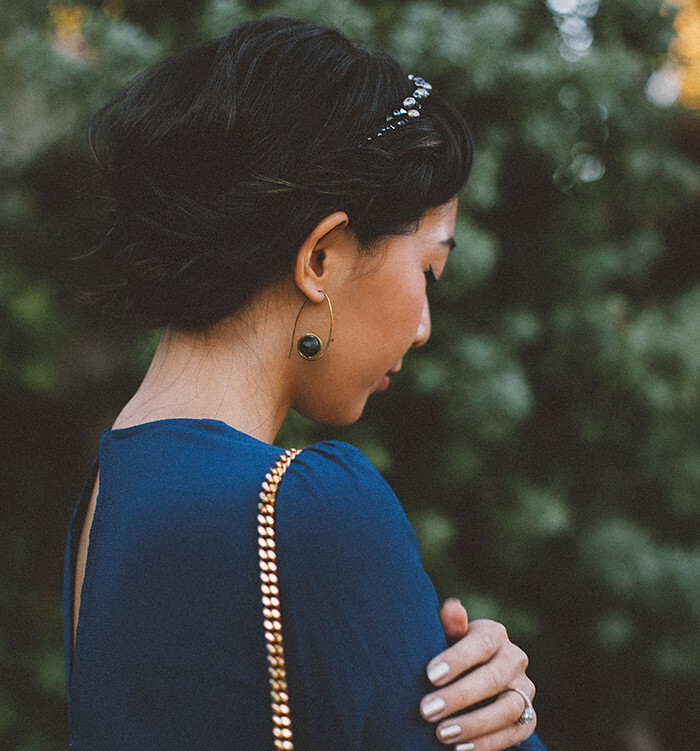 I challenged myself in creating an updo for this season's festivities. This entire year since I've cut my hair from waist length to a lob, I've never attempted anything other than a slicked back ponytail as a "done-up" look. I thought it was impossible to do any kind of bun or updo with such a short length. As Christmas is nearing and I'm seeing everyone's adorable looks for the assembly of holiday parties, I wanted to challenge myself and attempt something different. 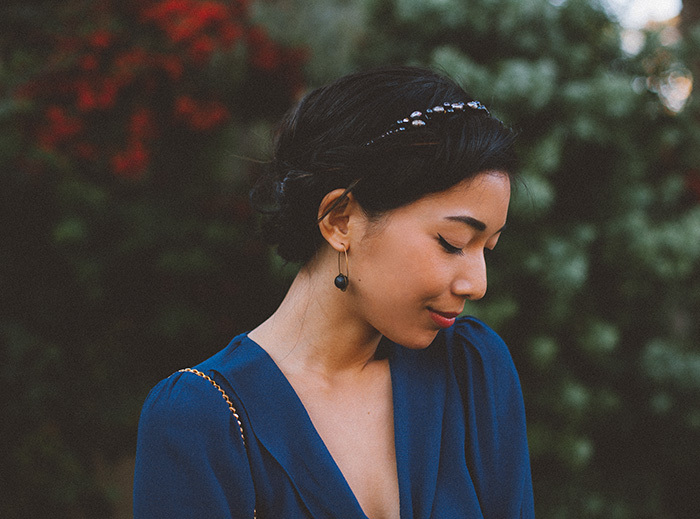 With the help of my online hair destination Folica and some good googling, I learned how to do a french braid for the first time and create a chic, messy updo for a festive night. Folica put together some effortless holiday bundles of products to achieve the hairstyle you're looking for. Whether it's for your work holiday party or when you're going to meet your SO's parents, there's product recommendations and inspiration for the perfect occasion. I picked up the Drinks with Out of Towners bundle for short hair, that includes the Yarok Feed Your Shine serum, FATBOY Perfect Putty, and Mitch Stone Session Spray and I found that these products were great not only for the everyday tousled look, but also for prepping short hair for a stylish updo. I used my Sedu Revolution flat iron (which you can get for 40% off today with code LASTCHANCE20) to create tousled waves so that the updo has texture and dimension. I found this quick and easy braided updo tutorial and followed each of the steps until it was time to "roll" things into a cute finished section. I realized that that step wasn't going to work for my hair because it was a little too short (or my dexterity was just off). So, I improvised and basically twisted and scrunched the ends of both of my french braids into a messy faux-bun and pinned it in with a black claw clip. I'm not the type to be uppity about having a normal claw clip show in an updo, so I was happy to be done with the step much easier than it could've been. Plus, it created some volume in the back and I love how effortless and lived-in the style looks. It's not a perfect updo and I'm just OK with that! Reformation dress (on sale now!). 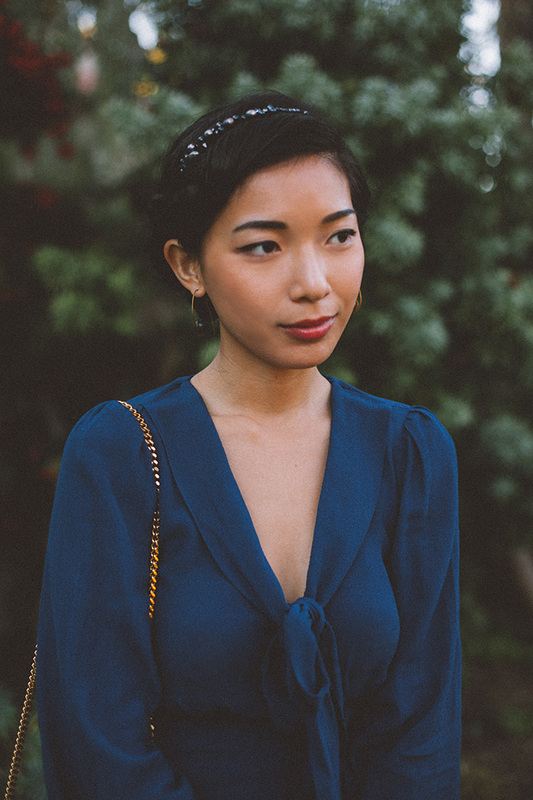 Colette Malouf headband. Saint Laurent bag. Dune London heels (on sale!). You are gorgeous, your blog is gorgeous & all your pictures are gorgeous! You are such an inspiration Stephanie!! I just cut my hair too for the first time since I was 12! This is inspiring. Happy holidays, friend! This is gorgeous!! I love your whole look. This is Gorgeous!!! Can you tell me what size is your dress? Thx!